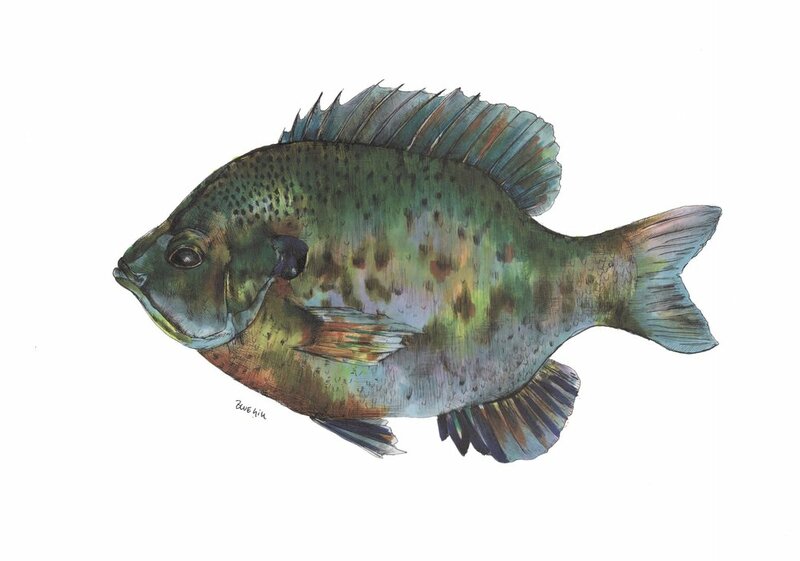 I will be teaching an illustration workshop during the fish opener at the lovely Hucklebeary shop in Duluth! I will take you step by step, teaching methods that help participants develop texture and deep color blending, as well as proportional sketching. Workshops are open to every skill level and are set up for participants to have fun and to create something they are proud of! It's one of my favorite times of the year to be on the North Shore!There will be beverages to share and fish themed snacks to enjoy, and supplies are provided for!